For this special wedding, the Bride asked the guests to wear just white outfits.....so everyone was wearing all clear colors, from cream, white to the beige.....it was a clever idea because the day was so fabulous, sunny and bright, that the color white was the perfect choice! And Here I am! wearing a dress from Asos...I found the dress probably 8 month ago, it was on sale and I fell in love! It's a different and original dress with a structured skirt, a little bit puffy, very feminine and with a nice line. 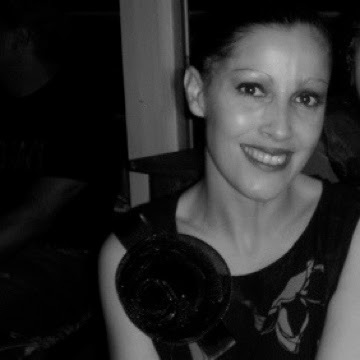 I wore it that day with 3 Flowers Brooches, made by ME and a black satin belt. matching perfectly with my Sephora Lipstick Crush 23. What do you think? Did I chose well? I hope you are good and see you soon! Love your dress...you are unique! te ves hermosa. 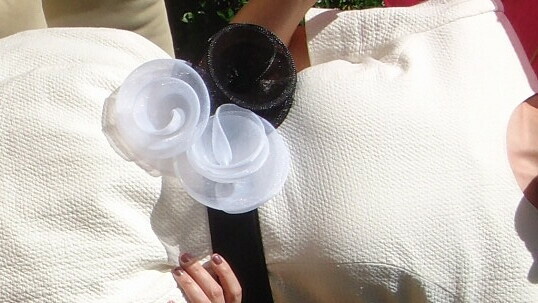 Me encanta como tu broches van con todo. Y la boda de tu amiga fue hermosa. Me gusto como fue al aire libre, con una mesa familiar, muy amena.